For the most part, the eyeshadow palette game has been dominated by high-end brands, Sephora, and Ulta. 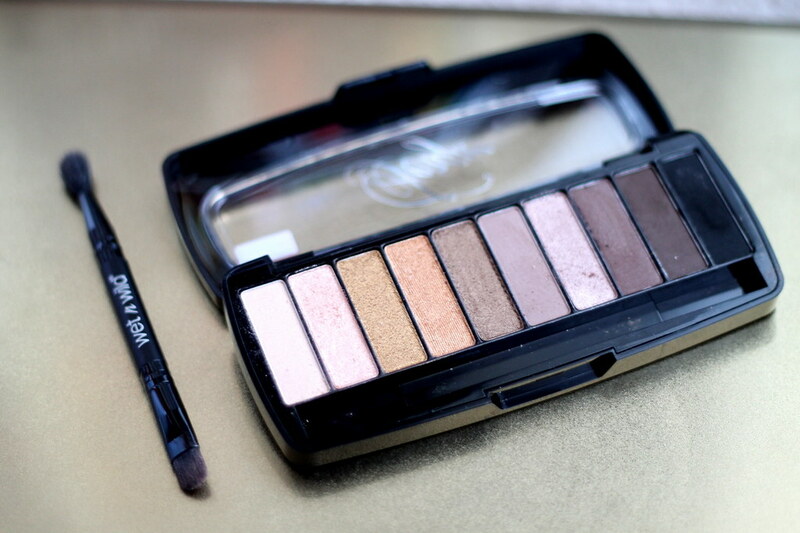 Sure, there have been some trios and quads from L'Oreal and Revlon, and Maybelline introduced its Nudes palette last year (with some pretty split opinions on whether or not it’s worth a buy)—but for the most part, the drugstore eyeshadow palettes have really been lacking. L'Oreal has two new palettes coming soon that I’m really looking forward to that look very similar to some Urban Decay ones, but on a recent hunt for those two palettes at my local Walgreens, I spotted this gem from wet n wild: Fergie’s Center Stage Collection Photo Focus Studio Eyeshadow Palette in Milano Collections. It’s priced at $7.99, and some of them have a $1.00 off sticker attached to them. I wasn’t expecting too much from this palette, but I should have guessed that after realizing wet n wild has seriously stepped up their game (Did you see my contour kit review from them? ), this palette was going to blow my mind. For the price point, the quality is fantastic. I’ve swatched all the colors and worn most of them on my lids. Surprisingly, the matte colors are my favorite. They’re creamy, blendable, and highly pigmented. The shimmer colors are great, too, but I found them to be a bit less pigmented—and once I tried blending more than one shimmery shadow together, they kind of melted into one color. I’m interested to see how they react when they’re used wet with something like Mac’s Fix+. My verdict? Go out and buy this puppy (there’s another one with more purple and silver tones, too). For one, it’s $7.99 for 10 shadows. For two, they last all day when used with an eyeshadow primer. For three, the matte shades alone are well worth giving a shot, and even though the shimmer shades are slightly less impressive, you can make them work if you’re willing to experiment with them. And isn’t that what makeup is all about: experimenting and having fun?